India is on the verge of clearing its first genetically modified food crop, Bt brinjal, with several others in the pipeline. Does India need GM crops? Are they safe? How much does the consumer know? On January 14, a meeting happened in room 23 on the sixth floor of the Union environment ministry building in Delhi. On the ministry's regulatory body's agenda was a historic item permission for the commercial cultivation of India's first genetically modified food crop. Everybody expected the body, the Genetic Engineering Approval Committee (geac, the clearing house for all gm crops in India), to clear Bt brinjal on the basis of test results submitted by seed company Mahyco, which has developed the crop. geac was forced to delay a decision on the approval till April 2009. This, because of two reports that found their way to the meeting.For India's small but highly active and well-networked anti-GM lobby had managed to get their hands on Mahyco's test results through a Right to Information petition. They sent the results to several independent scientists for review. Two scientists got back. Their analyses showed inconsistencies in Mahyco's interpretation of the test results. They also showed the tests were inadequate. The analyses reached the geac because of two important changes in how India regulates GM crops. One, the Delhi High Court ruled, in March 2008, that geac is bound to provide information on GM crop trials under the Right to Information Act. geac had refused previous requests for making public test results, arguing the seed companies were entitled to protect their intellectual property. Two, the Supreme Court appointed its representative, Pushpa Bhargava, former director of the Centre for Cellular and Molecular Biology, as an observor to the geac. This the court did in response to a petition that questioned India's handling of gm crops. Anti- gm groups have alleged that geac works under the influence of the gm seed industry, and hence its decisions are not independent. In 2006, it permitted Mahyco to carry out field trials of Bt brinjal, ignoring protests by non-profits (see timeline Bt brinjal in India). With Bhargava in the committee, and two scientific analyses questioning the company's claims, the geac could not clear Bt brinjal for commercial cultivation. When geac meets in April, its sub-committee may examine the two analyses and Mahyco's response. If it gives the green signal to the seed company, geac will give Bt brinjal the nod. This is the sub-committee--with the same members--which had cleared the 2006 field trials. Bhargava has said repeatedly that such a committee is pointless unless it comprises experts independent of the body. Rakesh Tuli, geac member, claimed the sub-committee would not take any decision against the country's interests. Bhargava assured Bt brinjal would not be commercialized till all the safety assessments were completed. But his influence in geac is limited since he has no voting rights. He can advise the committee and if the committee does not act accordingly he has the choice to take the case to the apex court. G V Ramanjaneyulu of the Centre for Sustainable Agriculture, a non-profit in Hyderabad, said geac's regulatory will is questionable.He gave the example that geac did not keep tabs on the seed stock of Bt brinjal from the initial trials. The gm seed industry defends geac. "There is nothing wrong with Bt brinjal seeds, otherwise the regulatory body wouldn't have granted approval," said Sanjiv Anand, director of the All India Crop Biotechnology Association. So, Bt brinjal could be in India's farms in a matter of months. And Indian consumers would not know if what they are buying is genetically modified brinjal or not--the aubergines would carry no labels, and would not be segregated from natural genetically unmodified aubergines. Because Indian regulators do not believe consumers ought to have a choice about eating GM food, and that GM crops are safe for humans and the environment. Are they to be believed? The international debate on GM crops is highly polarized. Its proponents, mostly industry and governments, and think-tanks that lean towards the two, argue GM crops are safe because they are not too different from non-GM crops. This is called the principle of substantial equivalence, which is not very clear in itself, but holds that if a novel or GM food can be shown to be equivalent in composition to an existing food, it can be considered safe. Anti-GM groups, mostly non-governmental and consumer rights outfits, say the precautionary principle should be used to regulate GM. This requires that proponents of any new technology that may pose a threat to people's health or environment must prove it is harmlessness before it is accepted. Given this polarization, and the fact that GM relies intensively on technology, scientific evidence becomes essential. The question is what did the two studies say that geac had to withhold Bt brinjal's clearance? The first report, by Gilles-Eric Seralini, a biochemist with the Committee for Independent Research and Information on Genetic Engineering, found that Mahyco had left out statistically significant differences between GM and control groups in its report to the geac (see box Seralini report). In the other analysis, the researcher reviewed Mahyco's food safety evaluation of Bt brinjal. Judy Carmen, director of the Institute of Health and Environmental Research, a non-profit working on genetically modified organisms (gmos), found errors in Mahyco's research methodology, which, she said, needs correction (see box Carmen report). She said Mahyco had not assessed the likelihood of a change in the genetic expression of the plant after the insertion of a gene and that no tests were conducted to determine whether the modified genes could degrade upon cooking or was digestible. Mahyco claimed it did not find any significant difference between Bt brinjal and non-Bt brinjal in the biosafety tests. The company said it carried out toxicity and allergenicity studies on rats and its impact on soil microbes. It also assessed the impact on beneficial insects and the environment. Based on these, the geac cleared them for large-scale field trials. But the data is generated and analyzed by the company itself, said Suman Sahai, geneticist and convenor of the non-profit Gene Campaign. "There have been instances when companies have fudged data for obvious reasons." 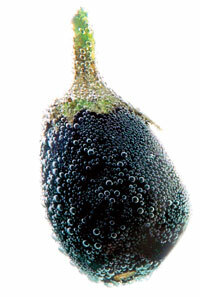 Bt brinjal draws its name from the soil bacterium Bacillus thuringiensis, also used in insecticidal sprays. In the 1980s, biotechnology companies identified the Bt gene that has insecticidal properties. They synthesized this gene, and inserted it in crops to give them in-built pesticides. When an insect feeds on a crop with this Bt gene, the Bt toxin disrupts its digestive system and kills it. Its proponents argue it could save crops and benefit farmers. "The brinjal crop suffers 50-70 per cent damage due to the fruit and shoot borer (pest). This loss translates to Rs 1,000 crore per annum," said M K Sharma, general manager, Mahyco, which is developing Bt brinjal under a licence from the US agri-biotech giant Monsanto. "Studies have shown that Bt brinjal farmers would use 70 per cent less insecticide to control the disease and 42 per cent less to control other insects." Increased yields would mean higher profits and farmers are likely to earn at least Rs 16,000-19,000 per hectare, he claimed. But would there be a concomitant increase in the price of seed? Sharma refused comment. Brinjal farmers agreed pests are a problem but they are also worried about the cost of transgenic seeds. Hidayat Ali, a farmer from Budaun in Uttar Pradesh, brings a truckload of vegetables, mostly brinjals, three times in 15 days to the Azadpur mandi in Delhi. The mandi is Asia's largest vegetable market. He spends Rs 2,500 on pesticides and fertilizers on about an acre on which he grows brinjals. 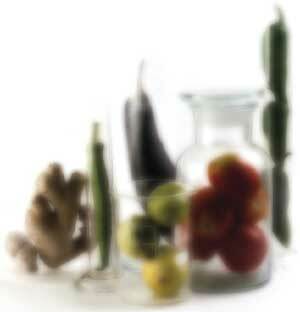 "I lose half my produce to the fruit and shoot borer. I have no knowledge of Bt brinjal," he said. "Pest attacks depend on the weather. They are the worst in summers and monsoons. How can any seed variety fight weather conditions? Besides, buying Bt brinjal seeds would add to my costs," he added, worried. Fertilizers are also increasingly used in areas under transgenic crops. In 2008, the Andhra Pradesh state agriculture university recommended a 15 per cent increased fertilizer use to improve yields in Bt cotton. Monsanto spokesperson in India clarified that fertilizer requirement for GM crops is the same as that of non-GM crops. But then contamination of non-GM crops is also a problem. To avoid contamination, the land on which the GM crop is sown should not have grown a crop the previous year. GM crops follow a rigid crop rotation cycle and imposing it on small farmers is not practical, said farmers' rights activists. To keep cross-pollination at bay, GM and non-GM crops need to maintain an isolation distance. A 2008 study by the Centre for Sustainable Agriculture did not find any Bt cotton production plot adhering to the prescribed isolation distance in Andhra Pradesh and Gujarat. Self-pollinating crops like wheat and rice need smaller isolation distances and cross pollinating crops, like mustard, require isolation distances of three to four km. "This seems impossible to implement," said Sahai. "Crops in adjoining fields are planted up to the boundaries so that they touch each other." Studies have also recorded that pests can resist the genetic technology. In 2006, a Cornell University, US, study had found that Bt cotton farmers in the US cut pesticide use significantly in the first three years of cultivation but had to spray as much as conventional farmers thereafter, and ended up with a net average income of 8 per cent less than conventional cotton farmers. ... Bt rice, chickpea, groundnut, maize, mustard, okra, pigeon pea, potato, tomato, watermelon, papaya and sorghum have also got approval for field trials from the geac. There are 238 varieties of 56 GM plants at different stages of trials in India. This includes 41 food crops (see map). GM soy and GM corn were approved in the US as animal feed, though their processed forms like soy oil, degummed soy and corn chips have been cleared for human consumption. "A food crop is consumed as a whole. In its processed form, the traces of genes are reduced below a level," said said Bhaskar Goswami of the Forum for Biotechnology and Food Security. "The US considers this level safe for human consumption but human field trials haven't been conducted." GM rice is the next in line for clearance. According to the International Service for the Acquisition of Agribiotech Applications, insect resistant GM rice and golden rice would lead the new GM crops for commercial use. But the golden rice project has run into trouble and a group of scientists have said golden rice was inadequately characterized in the literature, unauthorized and untested on animals. People working on the golden rice project acknowledged there were at least four human feeding trials in China and the US, which involved about 50 people including children and that no animal feeding trials were carried out before that. In the information posted on the US Clinical Trials website, it is not mentioned that golden rice is a GM crop. GM rice could also mean losses in trade. "Various varieties are being modified, including basmati. The European Union has strict traceability norms and does not allow GM rice. That is a major market we might lose," said Goswami. In India, agri-biotech industry officials promote genetic modification as a means for food security. "We don't need Bt brinjal or any GM food crop. gmos have nothing to do with food security," said Rajeshwari Raina, senior fellow at the Centre for Policy Research. She asked how could the companies claim that gmos are safe for consumption when there is not enough research. With the right agriculture practices, India can produce a lot more, she said. The International Assessment of Agricultural Science and Technology for Development, which worked to develop a new approach to world food production for five years, has also said that GM is not a solution for cheap food. Its director Robert Watson said more research is required to establish the benefits of GM crops--both to humans and the environment. "Bt brinjal might be important for companies but not for the current food security status," said Sachin Chaturvedi, international trade policy analyst with Research and Information System for Developing Countries. "Over the past 14 years, there has been a continuous stagnation in the green revolution crops so there is a need to wisely use genetic modification to improve productivity." A part from Bt, there could be other technological interventions which could be explored, he said. Of the GM research in India over 40 per cent are based on just Bt. "We need to see what is viable for the country and whether we have the mechanisms for it in place." In 2005, the Indian government had accepted in Parliament that the country did not have analytical methods to detect GM ingredients in food or laboratory techniques for biosafety analysis. The statement was in response to a question on adequate infrastructure to detect gmos in food imports. "There should be a government laboratory specifically for gmos," said Bhargava. "I put up this point at the geac, the members asked for a blueprint of the lab which I prepared and submitted but nobody acted." Sanjiv Anand of the All India Crop Biotechnology Association denied that India did not have analytical capabilities. "The data submitted by companies are analyzed by government or government-approved laboratories. For the foods for which we do not have the facilities, biotech companies get it done from abroad," he said. After a 2006 debate in Parliament, the country set up committees to look into the issue of safety of gmos and the regulations governing these. For example, in March 2006, the Planning Commission set up a task force, headed by Suman Sahai, to review the existing laws, policies related to gmos. The report called for a vastly improved regulatory system and that until the step was taken, commercial cultivation of GM crops should not be allowed. The report also recommended that all alternatives to GM technology should be examined and the GM option used only when other options are not available. Other options do exist, said Ramanjaneyulu. "What about non-pesticidal management? Under such practices, damages to a crop can be reduced by 10-15 per cent without using chemical pesticides so that the cost of plant protection is low," he said. In India, it is more about finding a market for GM crops rather than meeting the demands of the country after a well-researched analysis, said P V Satheesh, director of Deccan Development Society, a grassroots organization working on food sovereignty in Andhra Pradesh. "We must remember it is becoming imperative for agri-biotech companies to push GM in India as more and more European farmers are moving away from GM crops." In Europe, farmers are aware and can make an informed decision about implications of cultivating and using GM crops, he said. "The biotech industry is thus focusing on Asia and Africa where farmers are less suspecting and less critical of the GM technology." Developing country governments tend to be more pliable. That leaves little choice to a consumer who can't tell the regular brinjal from the Bt brinjal just by looking at it. The government, it seems, is not ready to give people that choice.